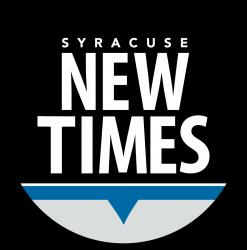 Alternative newsweeklies such as the Syracuse New Times began in the midst of a technological revolution. Offset printing and phototypesetting made publishing cheaper, enabling these print publications to start on a shoestring, proliferate and sometimes even prosper. Fifty years later, another technological revolution hastens their decline, hand-in-hand with the demise of the daily newspapers to which these brash newcomers had been alternatives. While digital and mobile advances have turned nearly everyone into a potential reporter or opinion leader, the internet provides little in the way of standards or filters. The internet has many voices, but few editors. There’s lots of bad grammar, bad spelling, bad ideas, factual errors, excessive use of explanation marks and CAPITAL LETTERS, and readers accept it. This makes me fear for the future of journalism, especially on the local level, as the so-called media desert expands. The Washington Post and The New York Times will survive, but what will happen in Syracuse and cities, towns and villages even smaller, when the newspaper goes from daily to three days, or the free alternative newsweekly goes to paid circulation, or the 150-year-old local weekly dies? Is there any sustainable business model that will support people to cover local government and schools, to criticize local theater, to follow high school sports and to promote local bands? Who will be there to turn a spotlight on unsung heroes and shine a searchlight on the charlatans? Sorry, unfortunately I have no idea. In the 1970s, when the Syracuse New Times began and I was in my 20s, we thought we had all the answers. At the dawn of the 2020s, I’ll be in my 70s and a lot smarter, after finally realizing how little I know. I was lucky to work at the Syracuse New Times. The passion of those days and the dedication of the staff to putting out The Paper every week through thick and thin made it more a lifestyle than a job, and I enjoyed (almost) every minute of it. I hope it can find new ways to survive for another 50 years or more. The community needs it.